We have strived for over ten years to be the best and have worked very hard to be where we are now. Today United Garage Doors is the biggest and most-called for commercial garage door service agency in the San Diego, CA. We have worked with many major and start-up businesses, offices, industries, commercial spaces and clients. We use the expertise we have garnered over the years, our knowledge of latest tools and use them to get to a solution that matches the varying needs of our commercial clients and fits their business requirements. 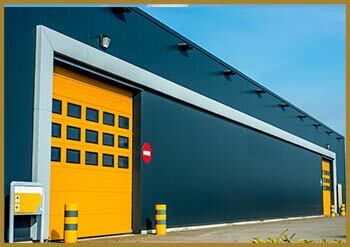 United Garage Doors can install garage doors that are custom-made to sync with the client’s requirements. The doors are set up perfectly, with no possible threat of debilitation for a long time. We also do timely checkups and regular maintenance inspection, upgrade worn out doors and door opener systems to a more advanced and stronger design and a lot more. 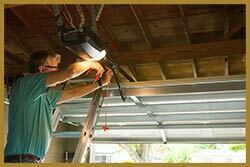 Our technicians are fast to respond to your calls and even quicker at solving your garage door issues. They can reach you wherever you are in San Diego, CA and can fix things up with minimum interruption to your daily business activities. Whether you have a big firm or are just starting up, selecting a garage door in accordance to your requirements and budget plans and is both sturdy and safe is a must. This can protect your premises from vandalism and theft, and also stand without a hitch when used excessively! Commercial garage doors are supposed to be long lasting and that is why you must opt for United Garage Doors to get you a robust and protective door system that needs minimum upkeep and lasts long without the faintest sign of defect. The materials we use in our doors are on par with the standards of industry and are durable. Whether it is a broken spring replacement that you require or a complete garage door installation, we assure you that we provide only superb quality at reasonable prices. Choose us for your business today!